There can be many benefits to testosterone replacement for patients with age-related low testosterone. Testosterone injections are the most commonly prescribed, and generally speaking, the most effective form of testosterone replacement. You can only get genuine testosterone therapy with a doctor’s prescription. Any product that claims to be testosterone, or provide you with any kind of testosterone “boosting” effect, that you can get without a prescription,is not true testosterone therapy. Prescription testosterone therapy has many positive benefits for men who may be suffering from low testosterone. We use the term “prescription testosterone therapy,” purposely, because the only way to obtain real testosterone therapy is with a doctor’s prescription. Any product that claims to be testosterone, or provide you with any kind of testosterone boosting effect, that you can get without a prescription, is not true testosterone therapy. Prescription testosterone therapy has many life-changing benefits for men who are suffering from low testosterone. How Do I Know If I Need a Prescription for Testosterone Therapy? You tend to be depressed, angry and/or irritable. You are having more trouble than usual sleeping. You are putting on weight more easily, and it is harder to take it off. If you are experiencing any or all of the above, it is a very good possibility that you could benefit from prescription testosterone therapy. However, again, that word “prescription” is deliberate and important. If you need testosterone therapy, you need to see a doctor, be tested, and obtain a legal prescription for testosterone. There is no other legitimate way to get testosterone. Any product you see for sale online or anywhere else that claims to be testosterone, if it can be purchased without a prescription, cannot by law, contain actual testosterone. Can Any Doctor Give You Prescription Testosterone Therapy? 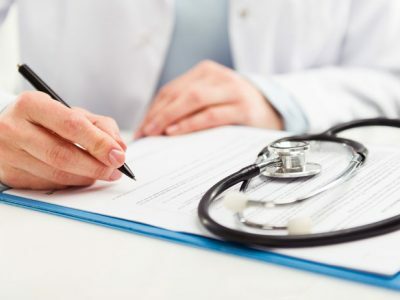 Any medical doctor can provide prescription testosterone therapy, as long as he or she has performed the proper testosterone blood tests, and determined that you have low testosterone. Testosterone is a very critical hormone. Doctors who specialize in hormone imbalances or other hormone based diseases such as diabetes, are known as endocrinologists. These types of doctors are very good at detecting and treating glandular conditions, and diseases of the endocrine system, that can result in some very severe disorders such as: impaired growth in children, diabetes, Graves’ disease, or the impacts of cancer of the major glands such as the pituitary or adrenal glands. However, if you are over 40, and experiencing the symptoms described above, your low testosterone is probably not related to one of the diseases or conditions that most endocrinologists specialize in treating. 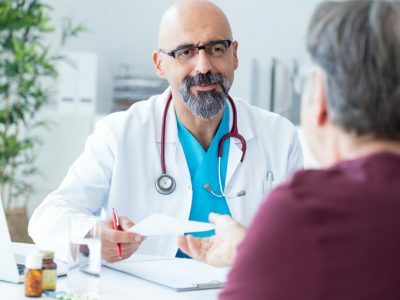 Instead, what you are dealing with is the normal drop in testosterone that occurs as you age, and to treat that condition, you are better off seeing a doctor who specializes in prescribing hormone replacement treatments for men with age-related low testosterone. 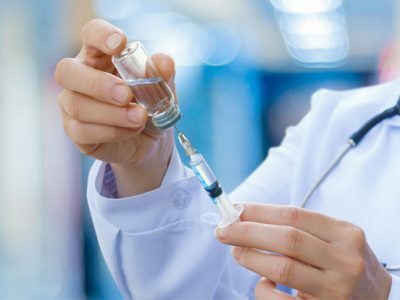 So, while it is true that any doctor can prescribe prescription testosterone therapy, you really want to be diagnosed and treated by a doctor, or testosterone clinic that has experience in prescribing safe and effective testosterone replacement therapies for men suffering from age-relayed low testosterone. What Are the Steps to Getting a Prescription for Testosterone Therapy? 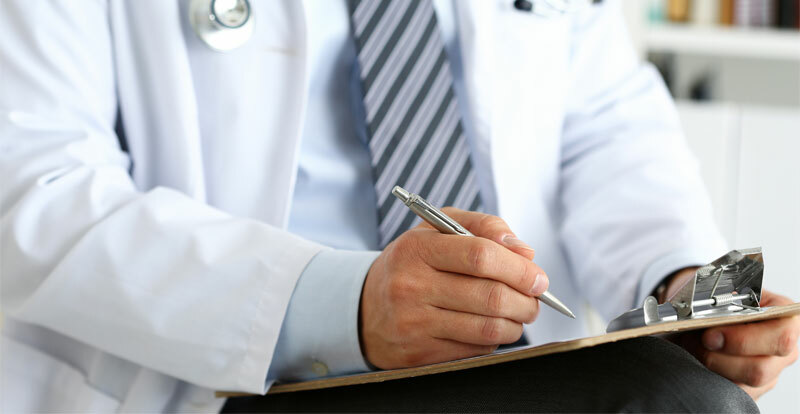 In order to get a prescription for testosterone therapy, you must first receive a diagnosis of low testosterone. While there are many products on the market that claim to boost testosterone levels, the only way to achieve real results, is with prescription testosterone therapy. 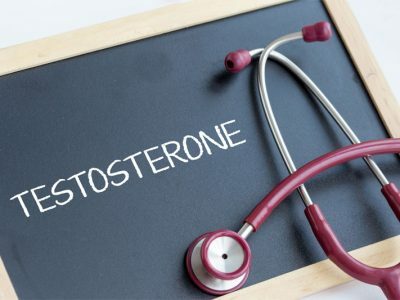 Before you can leave any doctor’s office with a prescription for testosterone therapy, he or she must have the level of testosterone in your blood tested. If your testosterone blood test indicates that your testosterone levels are lower than they should be for your age and weight, your doctor will be able to provide you with prescription testosterone therapy. Step One – Find an experienced doctor or testosterone clinic that you can trust. Step Two – Have a testosterone blood test, along with a thorough medical examination. 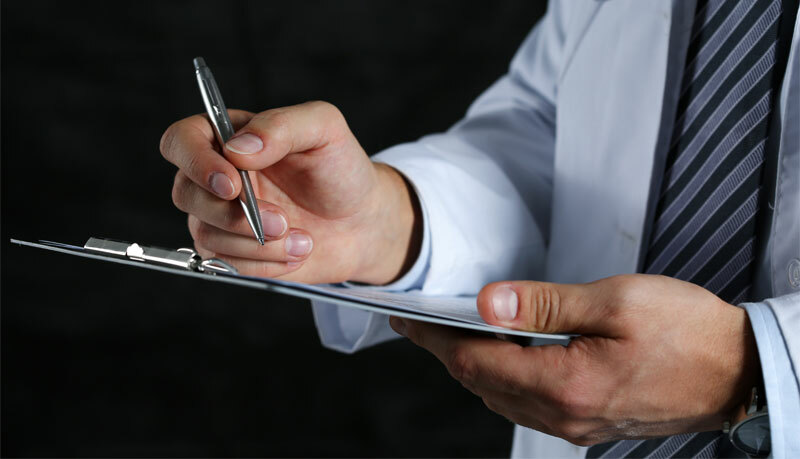 Step Three – Evaluate the results of your lab work, exam, and medical history to determine if you are a candidate for prescription testosterone therapy. Step Four – Begin your monthly testosterone replacement program per your doctor’s instructions. As you look at the four steps above, it is important to understand that where you get your testosterone prescription from matters. While it is true that any licensed medical doctor can prescribe testosterone, not all prescribers of testosterone therapy are alike. How long have you been providing testosterone therapy for men? Are you doctors board certified, and what other relevant credentials or affiliations do they have? What type of hormones do you use? What kind of results can I expect from testosterone therapy? What kind of track record of success do they have? Ask to see patient testimonials. What happens if my testosterone therapy does not work, or I am otherwise unhappy with my treatments? You will know by the answers to these types of questions, whether they are, or are not, the provider that you wish to get your testosterone prescription from. Patent care and customer service is something else that you want to consider when finding the best provider of testosterone therapy. We pride ourselves on treating every testosterone therapy as an individual, with unique needs and goals. We are local, as opposed to some large national clinic, so we are here for you whenever you may need follow up visits, or adjustments in your dosage. We are also highly specialized — we do one thing, and we do it very well, providing hormone replacement therapies so that men and women over 40 can continue to lead active, healthy and productive lives. When testosterone is injected directly into the blood stream, it is more readily absorbed, and you receive 100% of the dosage. No medication is lost through digestion or other bodily processes, as can occur using other testosterone therapy delivery methods.